Today at Playita Montecino there was a party going on. They even asked Teli, The Dominican Dog, to guard to make sure no one came to bother them. 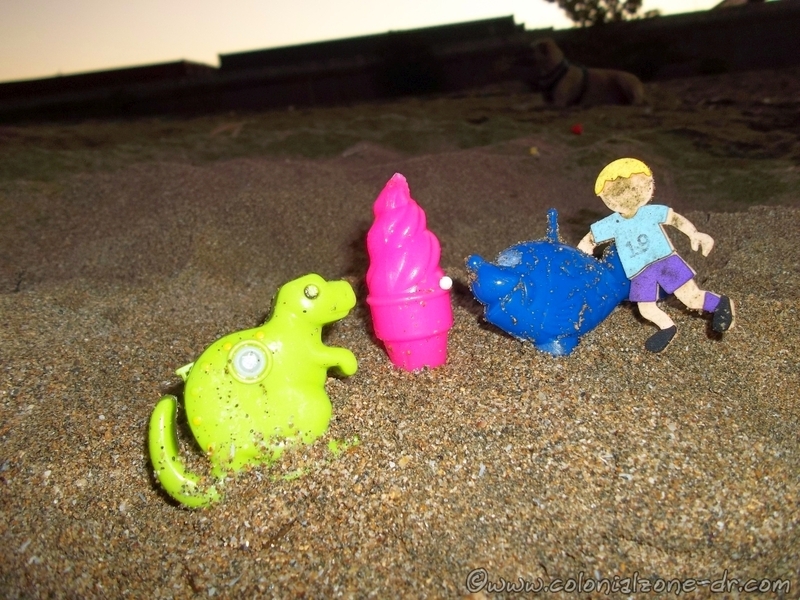 Soccor Boy, Big Blue Fish and Smiling Green Dinosaur had a big pink ice cream cone that they were all partaking of. They were having a swell time. The Soccer Boy was having so much fun he even lost his sock! Beach Junk Stories beach junk stories, dominican dog, playita montecino, teli. permalink.